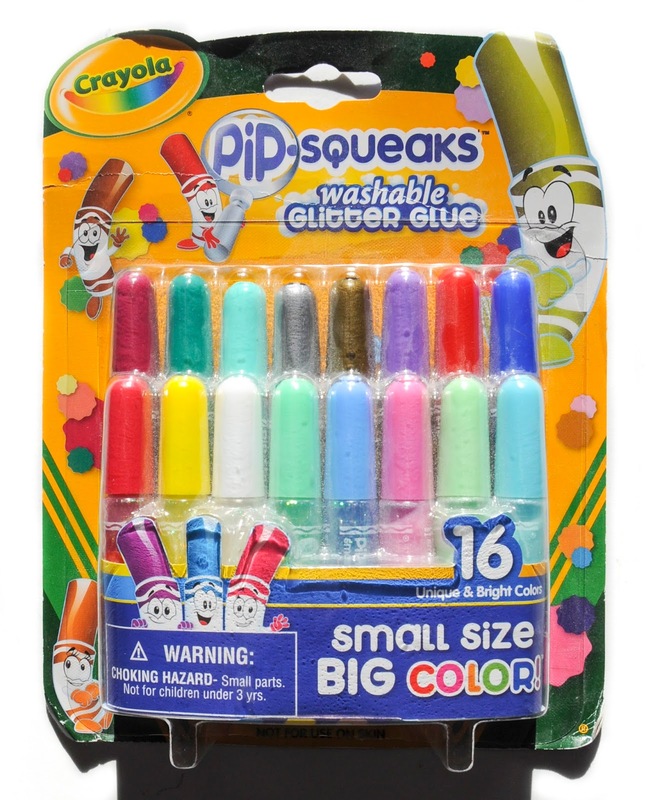 How is this my first post about 16 Pipsqueaks Crayola Glitter Glue? I love this glitter glue. I have had it for years. Glitter glue comes in many fun colors with non traditional color names such as rainbow flash and leprechaun shimmer. 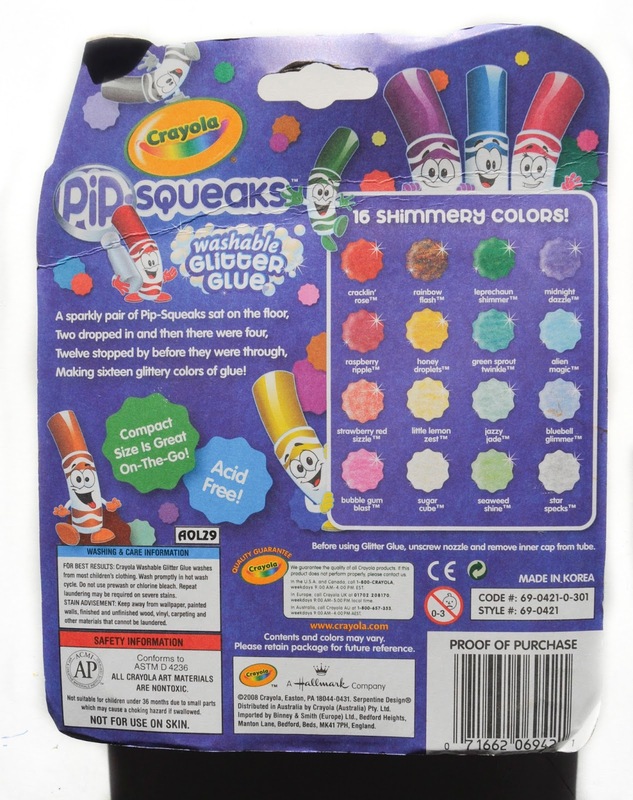 The glue lasts forever, there is a blue insert inserted tightly into the top of the glitter glue opening. It can be inserted again after it is removed to make the glitter glue last even longer. Kids love to use glitter glue to make their artwork sparkle and I like it because the kids get the glitter effect without the glitter mess. It is even washable, another plus! I will definitely be buying more in the future.